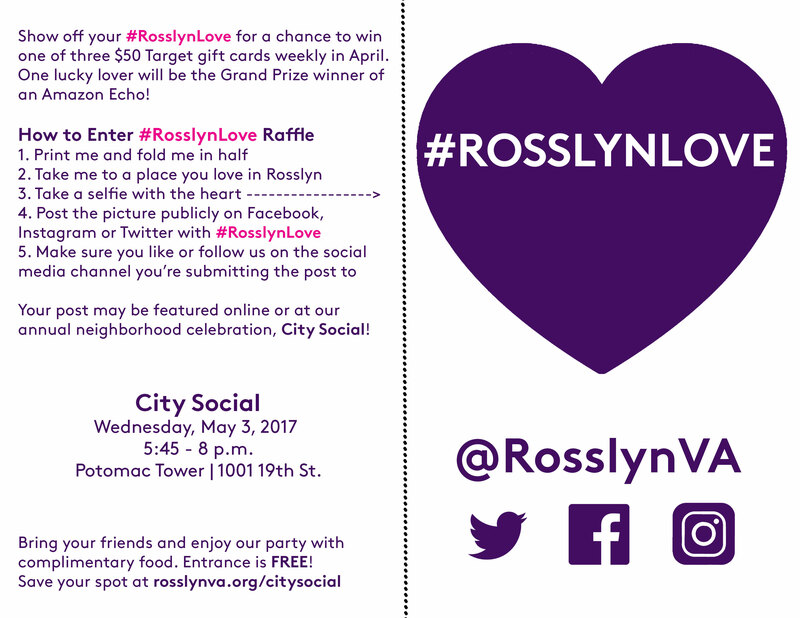 Show off your favorite spot in Rosslyn for a chance to win one of three $50 Target gift cards weekly in April. One lucky lover will win an Amazon Echo as a Grand Prize. Your post may be featured at our annual neighborhood celebration, City Social! Weekly raffle winners will be announced on Instagram every Friday, April 14, 21 and 28 at 4 p.m. The Grand Prize raffle winner will be announced on Instagram on May 2 at 4 p.m. All winners can collect their prizes at the City Social event or at the Rosslyn BID office after May 3.